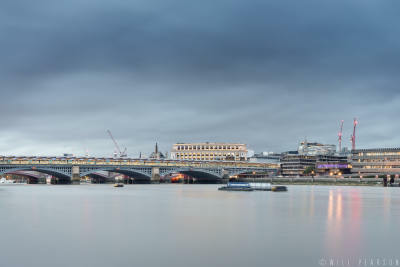 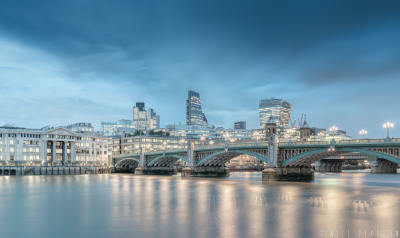 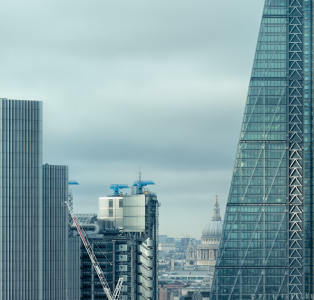 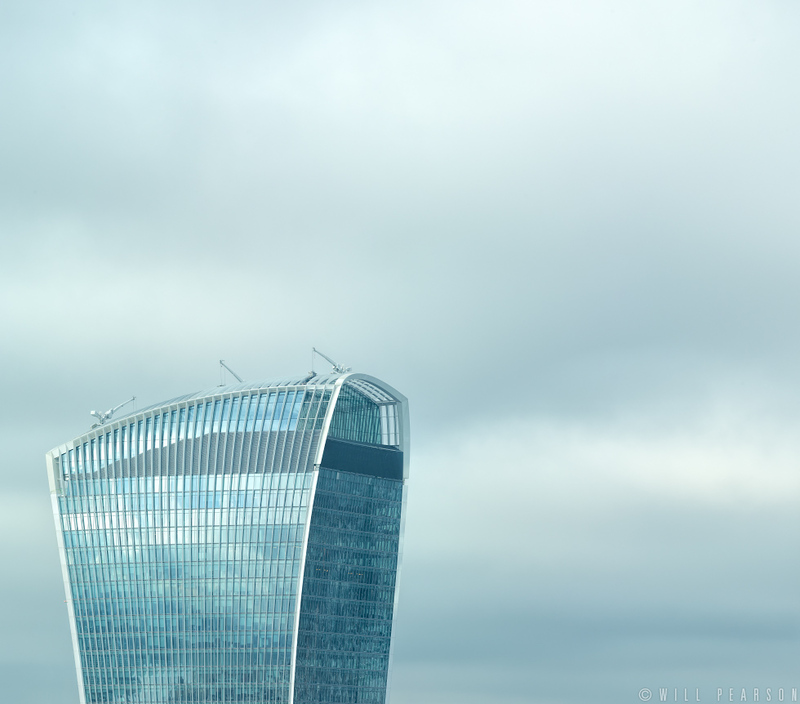 The upper floors of architect Rafael Viñoly’s 20 Fenchurch Street (the Walkie Talkie) are picked out against a silvery London Sky. 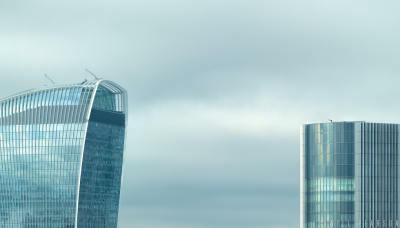 The Sky Garden occupies the top three floors. 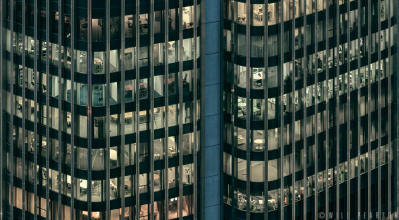 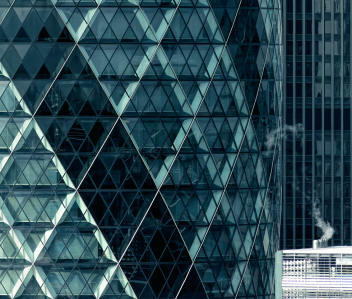 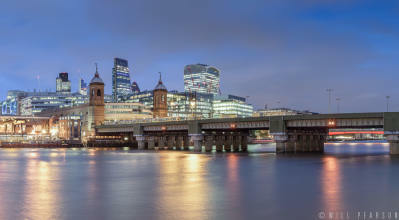 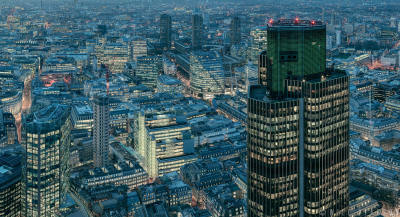 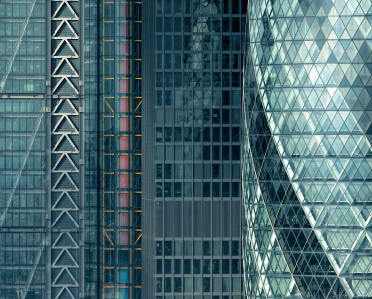 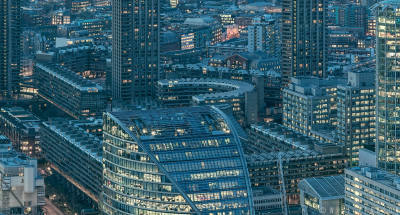 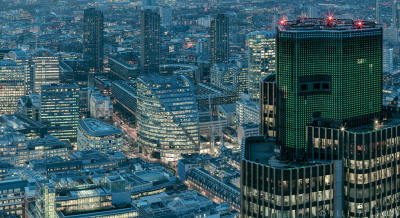 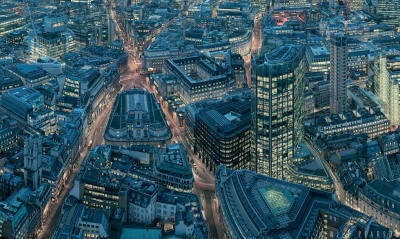 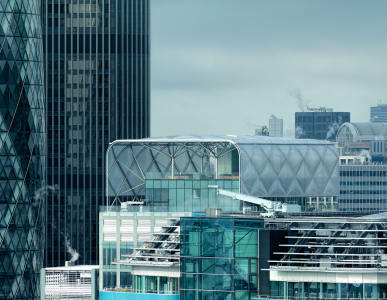 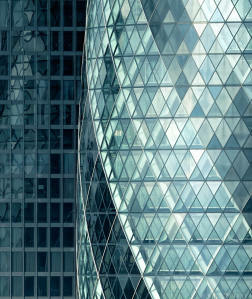 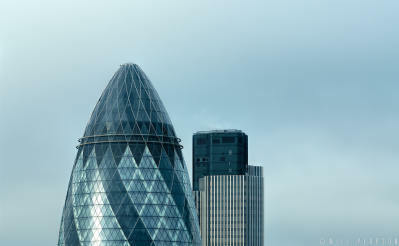 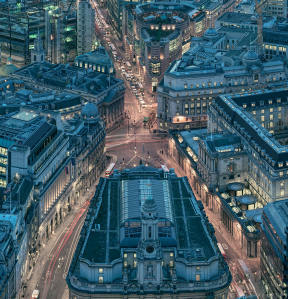 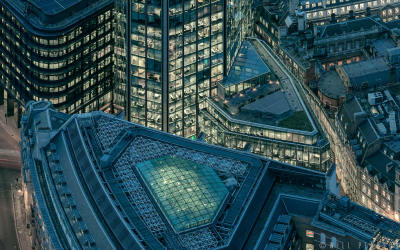 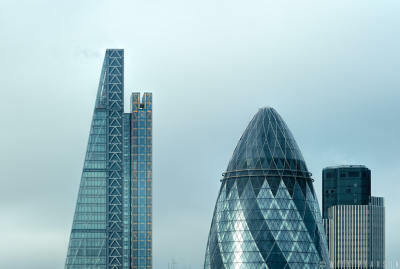 This is a detail from a much larger panorama ‘Silvered City – London 2015’.